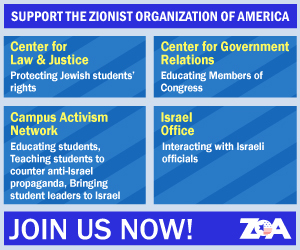 (There were also, however, a number of deeply troubling statements made by President Obama during his visit, which the ZOA has critiqued in detail in a separate press release that can be found here). “I know that in stepping foot on this land, I walk with you on the historic homeland of the Jewish people. More than 3,000 years ago, the Jewish people lived here, tended the land here, prayed to God here. 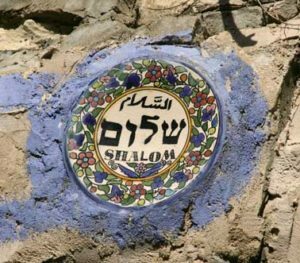 And after centuries of exile and persecution, unparalleled in the history of man, the founding of the Jewish State of Israel was a rebirth, a redemption unlike any in history. Today, the sons of Abraham and the daughters of Sarah are fulfilling the dream of the ages — to be “masters of their own fate” in “their own sovereign state.” And just as we have for these past 65 years, the United States is proud to stand with you as your strongest ally and your greatest friend … I see this visit as an opportunity to reaffirm the unbreakable bonds between our nations, to restate America’s unwavering commitment to Israel’s security … Why does the United States stand so strongly, so firmly with the State of Israel? And the answer is simple. We stand together because we share a common story – patriots determined “to be a free people in our land,” pioneers who forged a nation, heroes who sacrificed to preserve our freedom, and immigrants from every corner of the world who renew constantly our diverse societies. We stand together because we are democracies. For as noisy and messy as it may be, we know that democracy is the greatest form of government ever devised by man … I’m confident in declaring that our alliance is eternal, it is forever – lanetzach” (‘Obama: Israel’s founding an unparalleled story of redemption,’ Times of Israel, March 18, 2013). “I think about when Israel’s faced with these challenges — that sense of an Israel that is surrounded by many in this region who reject it and many in the world who refuse to accept it. That’s why the security of the Jewish people in Israel is so important; it cannot be taken for granted. But make no mistake: Those who adhere to the ideology of rejecting Israel’s right to exist — they might as well reject the earth beneath them and the sky above, because Israel’s not going anywhere. And today I want to tell you, particularly the young people, so that — so that there’s no mistake here, so long as there is a United States of America, “Ah-tem lo lah-vahd.” You are not alone (‘Transcript of President Obama’s Speech in Israel,’ New York Times, March 20, 2013).